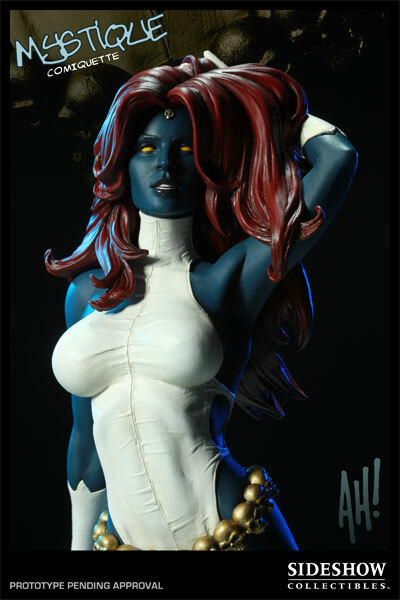 Mystique is a mutant in the Marvel Universe that has the power to shift her shape to look like anyone else. 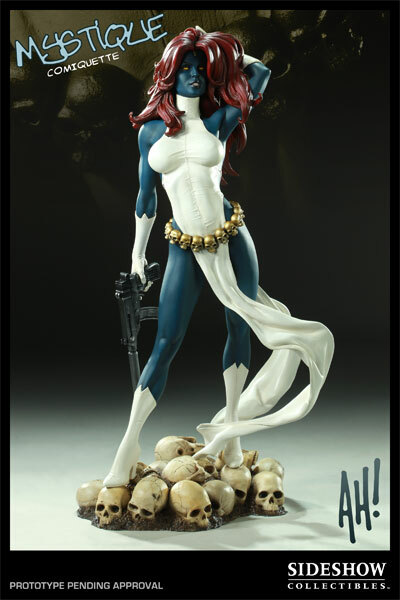 She is a chameleon and has used her powers both on the side of good and evil — mostly evil, as she is known for being the leader of the Brotherhood of Evil Mutants. 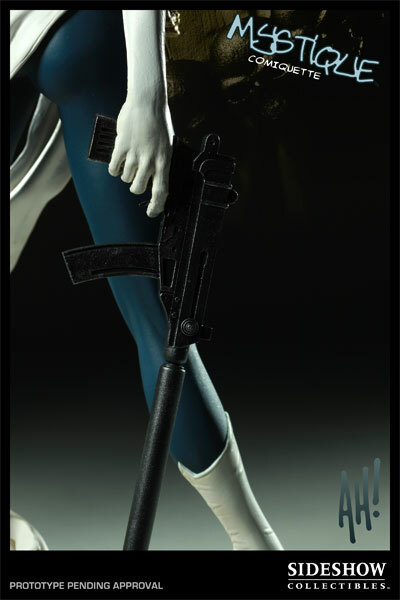 She first appeared in Ms. Marvel #16 (1978). 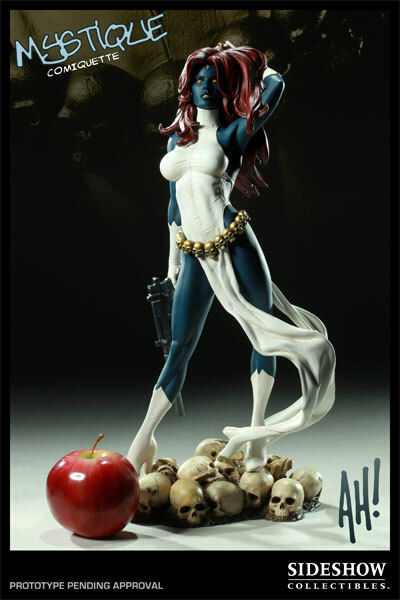 This polystone statue is designed by Adam Hughes and produced by the artists Tim Miller, Mike Najera, Adam Hughes, Simon Garciea, The Sideshow Collectibles Design and Development Team. 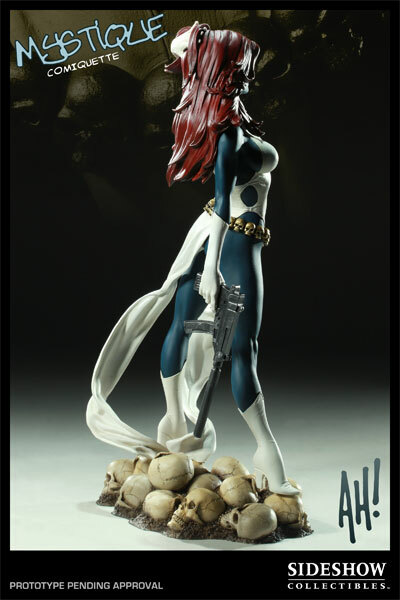 It stands 16" high. 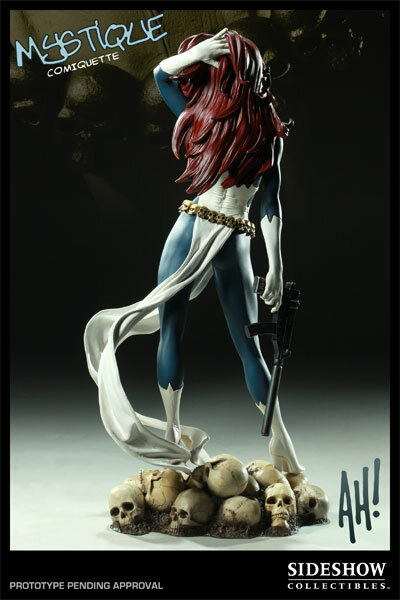 Click here to bring Mystique into your collection of Mighty Marvel Mutant statues!